Earlier, if people needed something, they had to drive around town to buy things from different places. Thanks to the Internet and its gaining popularity, there are a lot of e-commerce websites. E-commerce is the act of buying and selling products and services online. These days, you can get anything online, cars, books, toys, furnitures, you name it. There are a lot of convenient payment options as well, such as Net Banking and Cash on Delivery. There are a large number of online shopping sites, making it easier to find what you’re looking for. People usually judge a website based on the quality of design, the products they have, and the prices they’re being offered at. It’s common to search for the best price online because we all want to pay less and get more. Amazon is one of the most widely used e-commerce websites around the world. The company was founded in 1994, in Washington, U.S, as an online bookstore. Later, they included other products. Currently, they have millions of products including CDs, DVDs, software, video games, groceries, furniture, jewellery, and toys. There are millions of users who visit the Amazon website. But how does Amazon manage to make customers return to shop again? We have the best price online! We beat all other prices online! Lowest prices guaranteed! You’d have heard something like this at some point in your life. People who post these advertisements are mostly online retailers. Some even offer you discounts if you find the same item in another store with the same or lesser price. This is what’s called as price matching. This concept is becoming common these days, especially in large stores and e-commerce websites. Smaller stores don’t use this, since they can’t afford to lose money doing this. Retailers love it when customers are attracted to price matching. On the other hand, they’re averse to making a regular habit. Walmart is one online retailer that have price matching policies during certain times of the year. Some other sellers like Target and Best Buy employ these policies full time. When customers use price matching policies, it’s not always successful. It’s estimated that only 5% to 10% price match transactions take place during the holiday season. It’s even lower during the rest of the year, when sales can slow down. There are price match apps that are available for certain retailers for the ease of the customer. Also sometimes it’s difficult to price match with retailers. 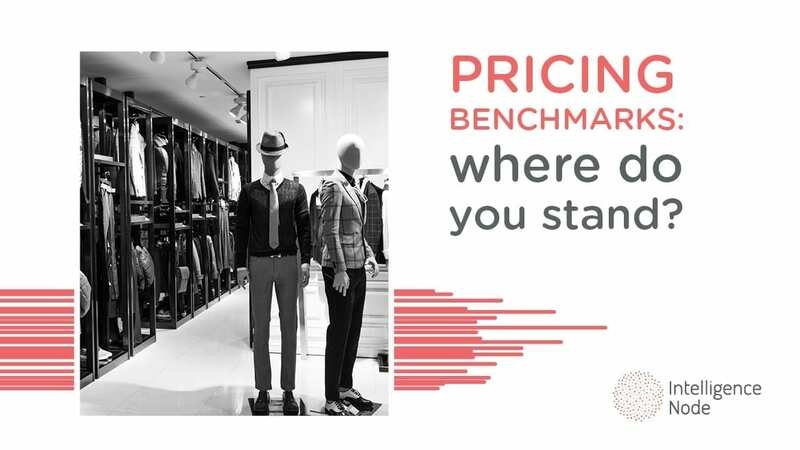 Customers feel that retailers tend to find a way out of price matching wherever they can. They also feel that there are different policies when it comes to different retailers and even different cashiers. According to Web Toptenz, Amazon is considered as the best online retailer in the world. The list is formulated based on price, quick delivery and a large selection of items. Walmart is second on the list, and also Amazon’s primary competitor. There are also a lot of other online retailers that try to compete with Amazon’s pricing. Here are some popular retailers and their price matching policies. How Do Other Online Retailers Compete With Amazon? While Amazon and Walmart compete for each other to win the e-commerce throne, eBay—one of the oldest shopping websites, and a long time rival of Amazon in the business is trying to make a comeback. Ebay has announced that it will price match with Amazon for around 50,000 products. They’ve also promised that they’ll provide the best price available online. If you can find a lower price on a competitor’s website, they’ll match that price for you. Over the years, eBay has seen slow sales, when compared to Amazon. That’s why they’re hoping for a comeback this time around. According to eBay, this move is all about retaining significant customers. The products that eBay promises to price match include a wide range of trending items like consumer electronics, fashion and home needs. These products have a discount of 20% to 90%. All of these products are from trusted eBay sellers. One of the first sellers to price match with Amazon is Best Buy. Like other retailers, Best Buy offers a price match to just one identical item per user. You can use a smartphone to compare prices with other websites and retailers. In addition to Amazon price match, they price match with Apple, Home Depot, Dell, Frys, and Staples. It’s always a good habit to keep your receipts. Best Buy will price match your product for the first 15 days after purchase. Target is one site that has included Amazon’s pricing. If you find a better product at Amazon, they’ll price match only if the same and exact product is available with them. The limit is one online price match per item for one user. The process is hassle free because you just have to show Target the price on your phone. Price matching isn’t applicable for household products and clearance items. The best part about Fry’s Electronics is that they will price match any local or internet competitor. Also, they should have a current reseller contract directly with the manufacturer of the product. This can be done within a period of 30 days. They promise to refund 110% of the price difference from a competitor. This means that you get an extra 10% offer. You can claim it by just bringing a valid receipt. Also, Staples is one of the largest office supply stores that price match with Amazon. They do that in both their physical stores and their website. There are a few conditions for staples price matching policy. The item should have the same model number and warranty details. In addition to Amazon, they also price match with other sellers such as Walmart, Xerox, and Hewlett-Packard. Did you know that even Amazon provides price match on certain eligible retailers? But Amazon’s price match policy is limited to only TV purchases. If you find a lower price for that exact same model, you will get a refund via an Amazon gift card. Also, you can report lower prices of products on other websites by scrolling down the product page on Amazon. Click on that link and enter the details. This helps Amazon to serve customers better in the future. Even though price matching is an attractive policy, it depends on the retailer brand and their policies towards price matching. This is why customers can often get frustrated and confused, since each seller has their own rules for price matching. If you’re lucky, you can get a discount, but keep in mind that the probability of this happening is low. However, Amazon remains as one of the most trusted online retailers by a large number of customers. That’s because they have a huge selection of products, fast delivery services, competitive prices, and high rate of customer satisfaction. This keeps them at the top of the competition. But they continuously evolve their strategies to ensure that they’re not being complacent and resting on their laurels. P.S.We crawl online shopping portals from the biggest e-commerce giants like Amazon to individual brand-owned sites like adidas.co.za to price match the item you’re looking for. Contact us for more information.